Aluminum is widely used in industry and in cooking utensils, especially in countries with low economic and social standards. Fluoride is also used in industry, a major component of toothpaste and is added to the drinking water in many countries to fight teeth decay and cavities. Consequently, the coexistence of aluminum and fluoride is highly probable. Growing evidence indicates that environmental pollutants during the early stages of embryonic development may reprogram the offspring’s brain capabilities to encounter oxidative stress during the rest of their postnatal life. 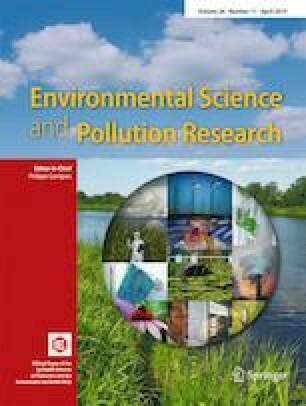 This study investigated the impact of sodium fluoride (NaF, 0.15 g/L) and aluminum chloride (AlCl3, 500 mg/L) added, individually or in combination, to the deionized drinking water starting from day 6 of gestation until just after weaning, or until the age of 70 days postnatal life. A significant decline was observed in tissue contents of vitamin C, reduced glutathione, GSH/GSSH ratio, and the total protein, as well as in the activities of Na+/K+-ATPase and superoxide dismutase (SOD) in almost all cases. On the contrary, lipid peroxidation and NO, as total nitrate, exhibited a significant increase in comparison with the corresponding control. Based on the present results, administration of Al and NaF, alone or in combination abated the quenching effects of the antioxidant system and induced oxidative stress in most brain regions under investigation. In conclusion, aluminum and fluoride are very noxious environmental pollutants that interfere with the proper functions of the brain neurons and their combination together aggravates their hazard. The author is greatly indebted to Dr. Suzan F.I. El-Sisi, Professor of physiology, Department of Physiology, National Organization for Drug Control and Research (NODCAR), Giza, Egypt, for her efforts that have contributed significantly in providing facilities necessary during the practical work. Use of animals and handling were strictly in agreement with the regulations and guidelines set by the King Abdulaziz City for Science and Technology (KACST) Saudi Arabia ethics committee.